If I had to select among my poems, one of my two top favorites would be this one. There are others that might be better, but this fantasy poem is without doubt on the top two of my personal list. It is a story of honor, loyalty, humility, and respect. To summarize, The Good King and Faithful Knight is a fantasy poem about a brave knight-warrior who has grown old, and fallen on hard times. Once a great hero who saved his king, he has accepted his unfortunate plight, the pain of old wounds, and poverty – all with humility, and the stoic outlook of a true warrior. A man, in all sense of the word, who has never forgotten his past, or his love for his king. When, by chance, he hears that the king is approaching – despite his age and weakness — he still manages to struggle to the road to offer homage to his beloved king without thought of asking anything for himself. 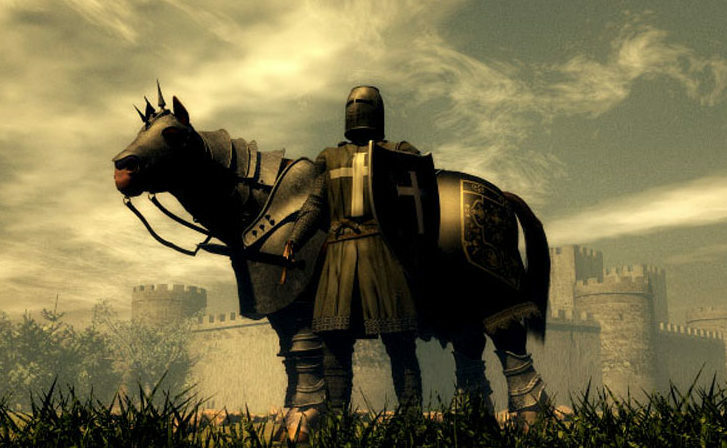 As the king passes, the king suddenly realizes who it is bowed low on the side of the road, and the deplorable condition this great knight and warrior has come to. Alighting off his horse, the king lifts the man up, eye-to-eye, and honors him – and makes sure he is taken care of for the rest of his years. And when the old warrior finally dies — the king places a great stone over his grave with an inscription that shows his undying respect for his beloved subject. For me, it is an analogy of what we all owe to those who have so bravely served and sacrificed, in our military in foreign wars, and the awful plight of those veterans who fell on hard times, or became “homeless” due to the mental scars of battle. Easily, one of my best fantasy poems, and as I said before, a personal favorite. can be quite hard . . .
and men forget the past . . .
it does not last . . .
is this how I reward? 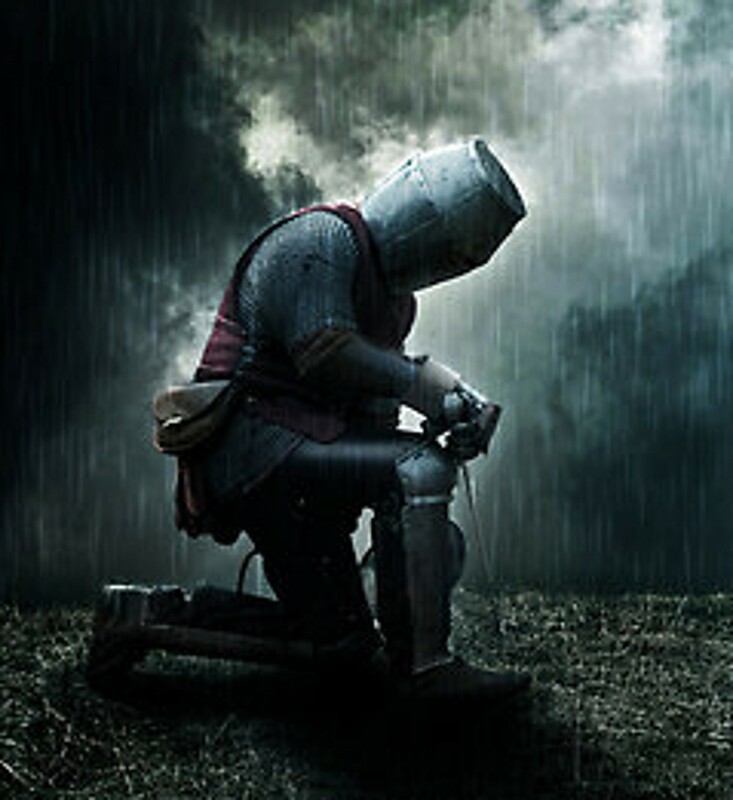 The background fantasy image is “The Fallen Warrior” by Scott Black and portrays an armored knight kneeling over the grave of a fallen comrade on a dreary and sad day. It is an amazing work, as most of Scott’s images are. I have also seen this elsewhere titled “The Fallen Knight”.